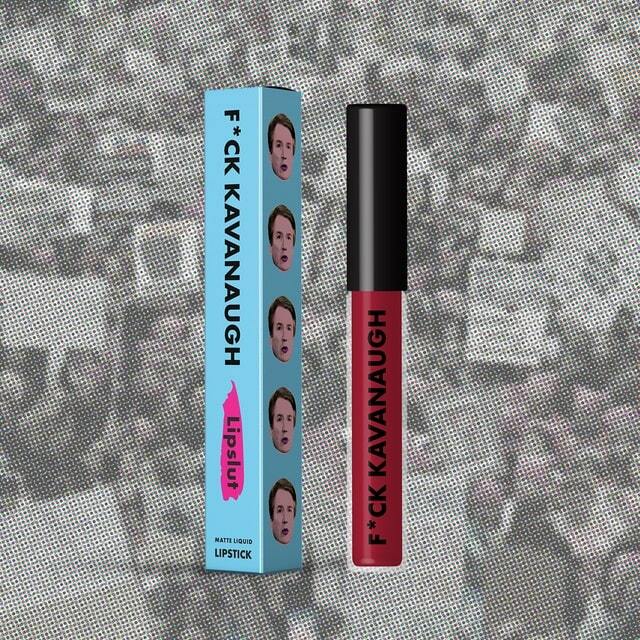 Activist cosmetics company Lipslut has just released a new lipstick shade called "F*ck Kavanaugh" in protest against attorney and jurist Brett Kavanaugh accused of sexual assault. Lipslut is the same company that produced the neutral pink "F*ck Trump" lipstick, which was able to donate $40,000 to the Charlottesville riot victims in 2017. 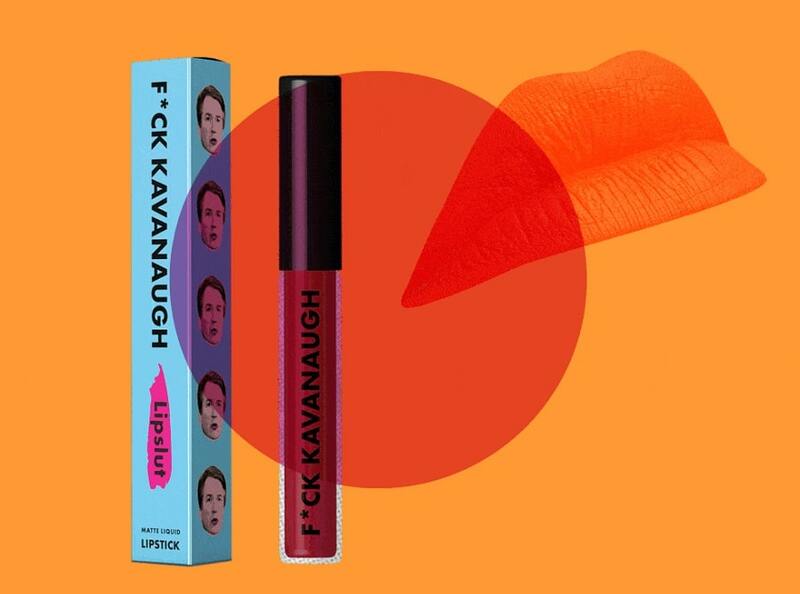 According to the company, the matte red liquid "F*ck Kavanaugh" lipstick is cruelty-free and 100% vegan. In an interview with Refinery29, Lipslut founder Katie Sones said that the cool-toned maroon hue was inspired by watching Kavanaugh's hot headedness during the hearings. In opposition to the beer-loving, calendar-keeping, judge nominee, "we thought a 'calm, cool, and collected' shade would be fitting," she explained. "While watching the hearing and the events leading up to it, I got so upset seeing women’s voices being ignored, doubted, and flat-out denied," Sones told Refinery29. "If the highest levels of government won’t listen to us, who will? To me, this entire mess serves as a microcosm for how thousands of women’s experiences and traumas are treated everyday—we had to act." All of the proceeds from the lipstick's sales will be donated to anti-sexual assault organizations. This is the fourth political lipstick Lipslut has come out with since it was founded by California-based then-college junior Sones in 2017. Aside from F*ck Kavanaugh and F*ck Trump, the brand also released a F*ck Hollywood true red shade, which donated 50% of proceeds also to anti-sexual assault organizations following the Harvey Weinstein scandal.